With an increasingly connected world and a global shift away from payment based on volume in health care, providers and patients are seeking more efficiency in care coordination. When providers work together across clinical boundaries, patient care is better, more streamlined, and less expensive. However, existing siloed infrastructure creates a massive barrier, crippling the providers’ ability to improve care. Our current platform in the market, ConnectingCare, is a realistic, practical utilization of blockchain technology: an audit trail of activity in the platform, a requirement of digital health companies. An intentionally simple introduction of blockchain technology into healthcare, this tool augments our current customers’ infrastructure using existing data to create care pathway flexibility, prospectively track financials, maintain immutable records, and accurately monitor analytics. 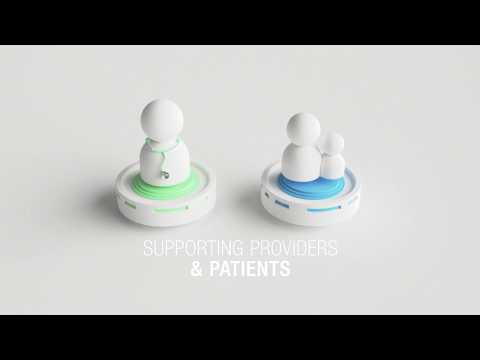 We’re a team of experienced leaders in blockchain and healthcare with a track record of success. We are both futurists and realists. We've thought deeply about where blockchain can lead healthcare. Most importantly, however, we have the hands-on experience to turn a vision into reality. Healthcare can be a tough market with tons of restrictions and regulations. Even though they need blockchain technology I feel the industry will be slower to adapt than most. 1. Is this another ICO Exit Scam? Unique product and strong leadership team. Simply Vital health was under Boost Vc (Tim and Adam Draper), they have clear idea of where the product will lead in the future. One really good project to look out for. I like the fact that this is a real company with a product. Much better than whitepaper ICOs that literally have nothing to show as far as products or services.